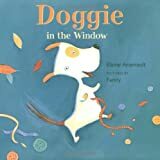 Adorably hilarious illustrations and snappy, understated text make this imaginative tale of a truly crafty canine a swoon and coo storytime favourite. If you’re wondering how on earth the author came up with this very bizaare plot, here’s your answer. Passion sparked by childhood reading leads us through snow, salt, sandstorms, camel spit and souks in this eye opening introduction to the wonders of the Sahara and the sensational potential of curiosity and pluck. If we sound slightly odd in this show, it’s because we recorded it during a live television appearance on Roger’s Daytime. Radiant with peace and perseverance, this beautiful string of family remembrances gently sips and savours the contributions of seven remarkably unremarkable women. Read the story behind the story here.